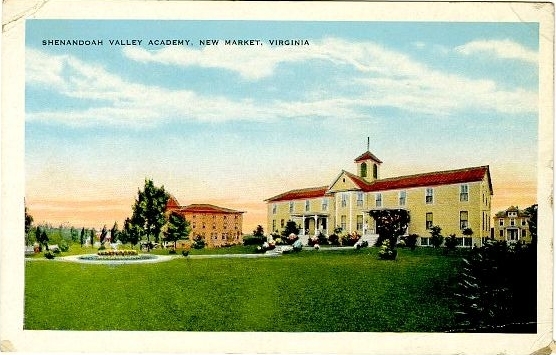 Postcard showing the central buildings of the Shenandoah Valley Academy in New Market Virginia. E.C. 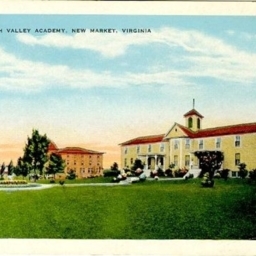 Kropp Co. Milwaukee, “Shenandoah Valley Academy, New Market, Virginia,” Shenandoah County Library Archives, accessed April 23, 2019, http://archives.countylib.org/items/show/5730.